France's far-right Rassemblement national party could be on the brink of financial ruin, after judges blocked a payment of €2.35million in public subsidies as part of a long-running investigation into alleged misuse of European parliamentary funds. Marine Le Pen, leader of the party that was renamed last month in a bid to distance itself from anti-Semitic accusations, said that the organisation could be "dead by the end of August" after state funds were withheld, leaving it scrambling to make up the shortfall by seeking donations from members. Funds to pay staff, rent and other financial obligations could run out as early as July 15, MP Sébastien Chenu warned. The money was due to be in party accounts on Monday. But judges had ordered the seizure of the funds, nearly half the total €4.5million the party is entitled to based on election results, on June 28. “The investigating judges are applying a death sentence by confiscating our public grant without a court judgement,” Ms Le Pen said. The European Parliament has accused Ms Le Pen and other party figures, including MEPs and party founder Jean-Marie Le Pen, of fraudulently paying their staff in France with €7million in EU funds that were supposed to be spent only on European parliamentary assistants. 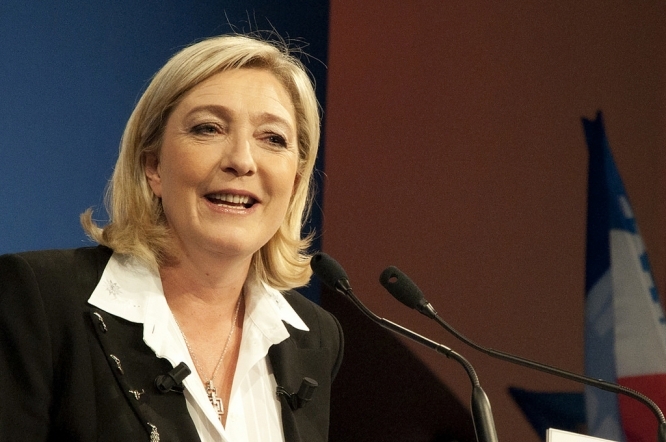 Ten people have been charged so far in connection with the investigation, including Ms Le Pen. Last month, she was ordered to repay the European Parliament nearly €300,000 following an investigation by the European Anti-Fraud Office, which found she had been “unduly paid” €298,497.87 for parliamentary assistance between December 2010 to February 2016. Fellow French far-right MEPs Mylène Troszczynski and Jean-Marie Le Pen have also been ordered to pay back hundreds of thousands of euro this year. It is not the first time the party has faced financial problems. In 2014, it turned to a Russian bank for a €9million loan, after being refused credit in France. This year, several banks - including Société Générale and HSBC - have refused to open accounts for the party.